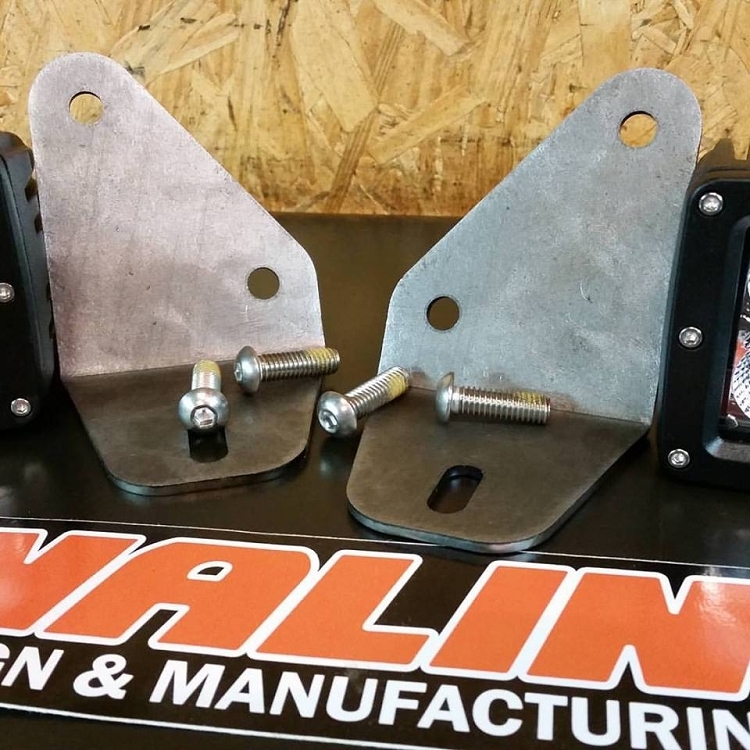 NalinMFG YJ-CJ Lower A-Pillar Light Mounts provide a convenient way to mount a pair of off-road lights on to the lower A-Pillar area of the Jeep YJ or CJ. Designed specifically to fit the Lifetime LED 3" cube lights, these may also fit other brands of compact off-road lights (the light mounting hole is slotted 3/8"). The brackets are CNC laser cut, brake-formed USA steel, and ship bare metal with new stainless hardware. Lights not included. Fit perfect and look good. High quality and would recommend to anyone looking to mount lights on their Jeep. These fit with my Rigid lights.